These are the most popular things I make. 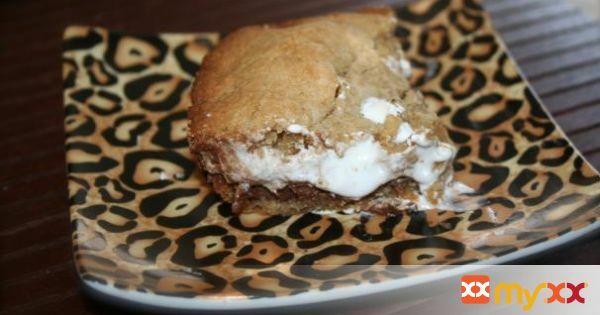 All the goodness of a s'more with the softness of a cookie. 2. In a large bowl, mix butter, sugar and brown sugar until mixed together well. 3. Mix in egg and vanilla. 4. In a small bowl, whisk together flour, graham cracker crumbs, baking powder and salt. 5. Slowly add flour mixture to butter mixture and mix at a low speed until combined. 6. Divide dough in half and press half of dough into an even layer on the bottom of the prepared pan. 7. Place chocolate bars over dough. (I have one pan that works perfectly, the others I have break the chocolate some to get it to fit in a single layer). 8. Spread marshmallow creme over chocolate. 10. Bake for 30 minutes, until lightly browned. 11. Cool completely before cutting into bars.